The context: "I promise you when you leave here, you will have enjoyed this show as much as any that you've ever had occasion to see, all right? 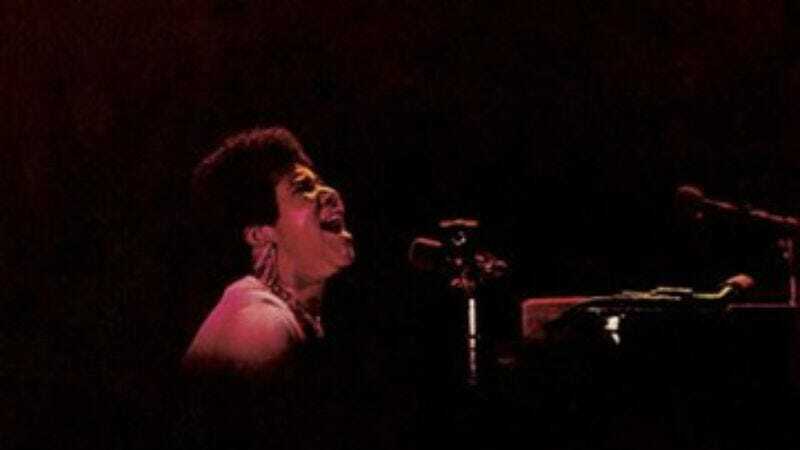 ", Aretha Franklin tells her 1971 San Francisco audience one track into the 1971 album Live At Fillmore West. She sounds genuinely nervous to be playing in a venue more famous for Jefferson Airplane and Grateful Dead shows than soul music. The greatness: She needn't be. After an incendiary "Respect," Franklin works through a series of covers familiar to her counterculture audience's ears, from Stephen Stills' "Love The One You're With" through Bread's "Make It With You." No, scratch that. "Cover" is too mild a word: Franklin reworks them in her own image. She makes the Simon & Garfunkel version of "Bridge Over Troubled Water" sound like a demo for the gospel celebration it was meant to be, and begins "Eleanor Rigby" by singing, "I'm Eleanor Rigby, I picked up the rice in a church where a wedding has been." There's no room for cool observational distance here. By the time Franklin—backed by a King Curtis-led band that includes Billy Preston—segues into her then-recent hit "Don't Play That Song," any doubt that the audience wouldn't be coming with her has melted. Defining song: It's tempting to single out "Spirit In The Dark," which appears in back-to-back versions, the second featuring a plucked-from-the-audience Ray Charles. (In the full version, restored to CD in 2006, their collaboration nearly reaches the 20-minute mark. The edited-down version has to be one of the unkindest cuts of the LP era.) But "Dr. Feelgood" best sums up what the experience is all about. The song, co-written with Franklin's ex-husband Ted White, is ostensibly about a woman's unquestioning devotion to her good-loving man. But Franklin's church-born vocal flights confuse what kind of devotion she's singing about. Saturday night blurs into Sunday morning, sexual and religious ecstasy start to sound like the same thing, and the song doesn't so much as end as explode into a sermon about putting faith in the ultimate benevolence of a universe watched over by a loving God. "If you don't never do nothing about it," Franklin assures her audience, "everything's gonna be all right!" It's hard to imagine daring to feel otherwise at that moment.